Is there anything more beautiful than a wedding? Often a couple will plan for years, or longer, to organise and pay for their special day. There are always tons of things you have to think about, from the caterer to the venue to the officiant, the florist, the photographer – the list goes on and on. While we’d all like to think that our day will go perfectly, especially with all of the planning that has gone on, sometimes that just isn’t the case. 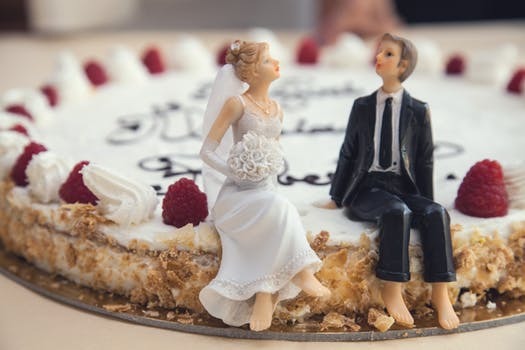 If you’re planning a wedding you’ve likely heard a few horror stories from former brides and grooms who had weddings that just didn’t work they way they’d planned. Maybe the limo that they hired didn’t appear and they had to order a new one, the day of the wedding for a much higher price. Or maybe the reception space that they booked suddenly shuts its doors and it’s lights from bankruptcy and they have to find a new one quickly. What do you do when these types of things happen? A wedding insurance policy can help. Wedding insurance is just like any other type of insurance, a buffer between you and catastrophe. Let’s say, for example, that Mark and Lisa have spent over a year planning the perfect winter wedding. They have everything ready but, the day of the wedding, there is a huge storm that stops everything in its tracks. No one can make it to the wedding or the reception. With a wedding insurance policy, Mark and Lisa can pay their small deductible and can get back every penny that they spent when they booked the wedding, allowing them to reschedule and save their nuptials. That seems a bit far-fetched? Then how about Rhonda and Paul who got married and had a beautiful day. They wait anxiously to get their wedding photos back only to discover that the photographer accidentally destroyed them. Not only do Paul and Rhonda not have any photos, they have to spend time and money fighting the photographer to get their money back. With a wedding insurance policy, they can get their money back relatively quickly. The good thing about wedding insurance is that it’s fairly affordable. With only a few hundred pounds, you’ll be protecting your wedding day from anything untoward that may happen, no matter if it’s the videographer falling in the pond and destroying all of the footage that he captured, or the horse drawn carriage kicking your maid of honor in the leg and creating the need for an ambulance. No matter what type of catastrophe happens a wedding insurance policy is there to help make the day at least a little better. If you’re thinking about wedding insurance, make sure you get it as soon as you start your planning. The sooner you get it, the faster it will be there to protect you. But make sure you check with your insurance company because there may be a limitation on how far in advance you’re allowed to purchase this insurance.